Simba?. . HD Wallpaper and background images in the disney crossover club tagged: disney crossover simba tantor. I love it! I am totaly in love with it! It looks so real! Fantastic job! 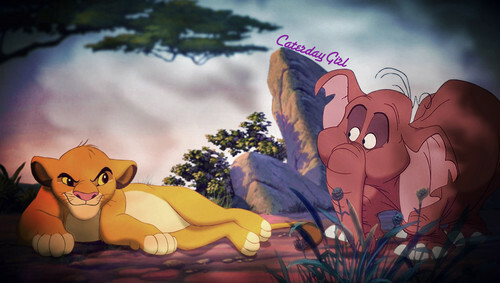 Simba has that smirk on his face like he's going to pounce on baby Tantor!! !